It’s another dwarf! Yes, I have every intention of drawing all 13 of them, eventually. Dori took approximately forever with his fancy hair and beard and all that, but I’m happy with the results. And of course, there’s a doily. 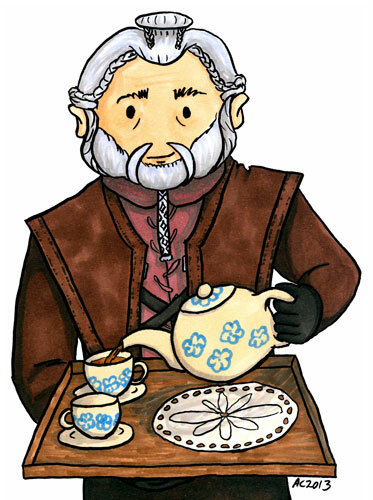 Tea With Dori, 5″x7″ pen & ink and Copic marker on paper. 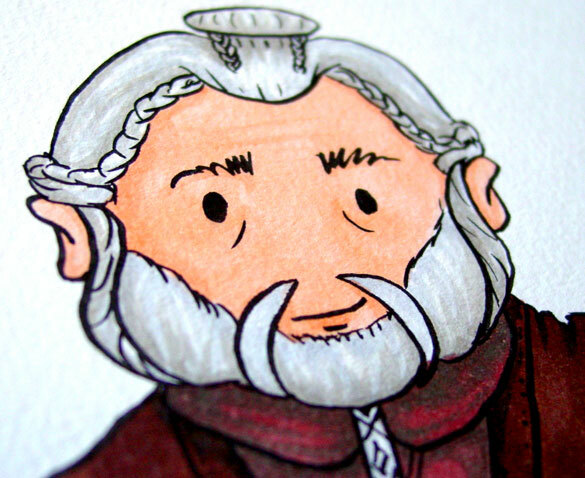 Above, you can see the ridiculously complex hair & beard stylings of Dori the dwarf. 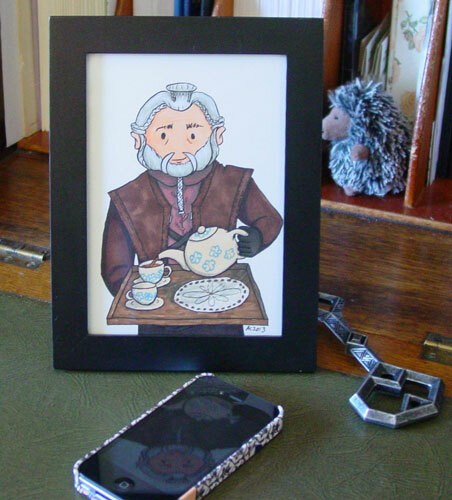 Below, he’s hanging out in a frame, waiting to come home and share tea with you.